There are many types of period helmets/head protection that one can invest in for Medieval/Renaissance/Historical European Martial Arts. In our martial arts organization you still typically see steel armour helmets. Soon enough there will be more and more heavy fencing H.E.M.A. masks involved in our training sessions, but we like the weight and sensory limitations that a period helm places a fighter under to give us a feel for what out forefathers in these martial arts experienced. 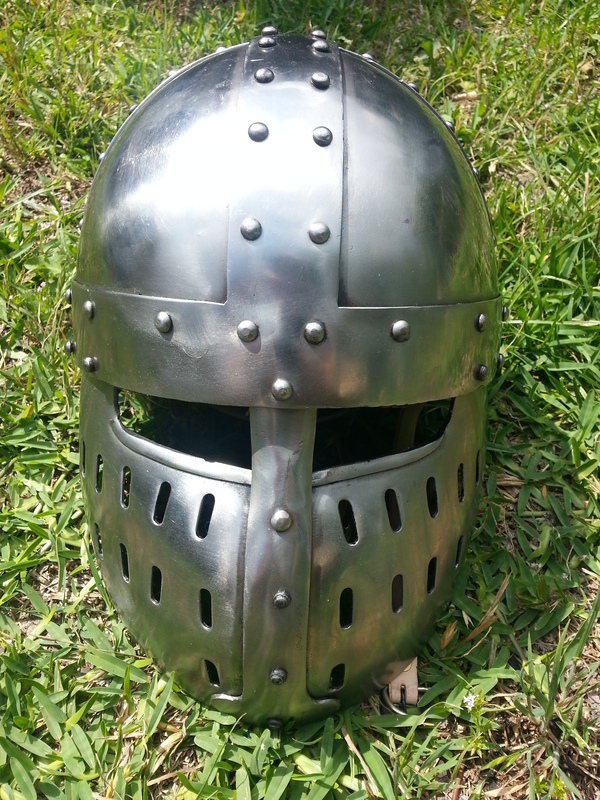 The helmet we will be looking at is the get Dressed for Battle, Crusader Spangen Helmet.